Most of us are familiar with the 12 sun signs. 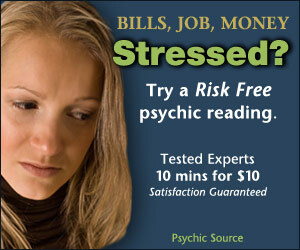 They’re so popular that even people who aren’t really invested in astrology know their signs. What’s more, we identify ourselves with these zodiac signs, saying things like, “I’m an Aries” or “Pisces” or whatever your sign is. But your personality is so much more complex than that, and so is astrology. Sun signs are important and offer a lot of insight into your personality. However, these 12 signs are a simplified approach to astrology. That’s because they only focus on the position of the sun within the 12 zodiac signs when you were born. But at the time of your birth, an entire universe was dancing, including the waxing and waning moon. 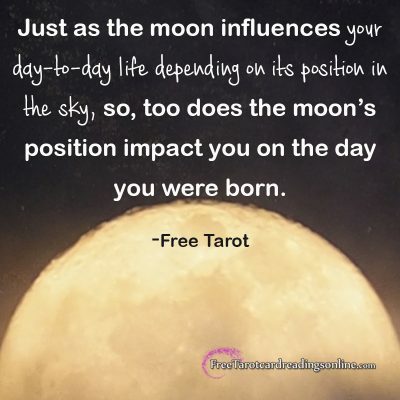 And just as the moon influences your day-to-day life depending on its position in the sky, so, too does the moon’s position impact you on the day you were born. And that’s where moon signs come in. These signs show the position of the moon within the 12 zodiacs at the time of your birth. It’s easy to determine your sun sign. All you need is the date and month of your birthday. But the moon travels more quickly through the zodiac, spending two to three days in each sign before moving on to the next. So, in order to figure out your moon sign, you need to know the date, time and location of your birth. These specifics will help you pinpoint which zodiac sign the moon was in when you were born. The sun sign reveals your conscious self, along with your overall personality, which you and everyone else can pretty much observe without much trouble. However, while the sun rests in Aries during that month-long period, the moon quietly moves through each of the 12 zodiac signs. That’s why you’ve probably noticed that even though many people all share the same sun sign and similar personality traits, they’re also all incredibly different, too. That’s because each person has their own unique moon sign, and that moon sign plays a big role in who they are. 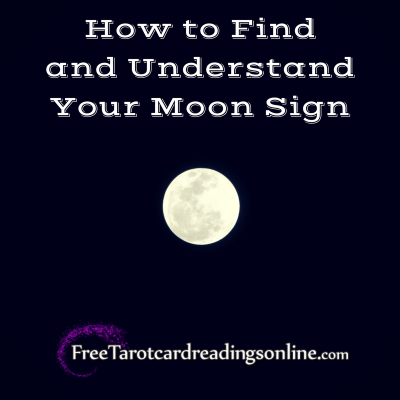 The moon sign represents your deeper self, your emotions, and your subconscious inner workings. Whereas the sun sign illuminates the surface, the moon sign reveals depths. Even if moon signs aren’t as popular as sun signs, they’re equally important. Together, these two signs help to explain and shed light on your entire person. For example, you may have known your sun sign for a long time. And while it’s consistent with much of your personality, it doesn’t explain everything. And there may be times when you feel in conflict and at odds with yourself. This can be due to the tug-of-war occurring between the sun and moon signs within you. But if you don’t know what your moon sign is, you may not be able to resolve these inner battles. That’s why knowing both your sun sign and your moon sign help you know yourself better, love yourself better and be more understanding and patient with yourself. Moon signs can explain why you struggle in some areas, and why you thrive in others. In the end, both the sun and moon illuminate different aspects of your personality. So, it’s helpful to know and understand your moon sign. To get you started, here’s a brief overview of each of the 12 moon signs. Ruled by Mars, this moon can be fiery, short-tempered, and with an energy that can be impatient, demanding, determined, aggressive, and strong-minded. The Aries Moon likes autonomy and enjoys the action required to solve problems. Ruled by Venus, this moon is sensitive and caring, yet needs stability, sometimes in the form of returned love, affection and comfort. The Taurus Moon can also be taken advantage of, or become needy and possessive. Ruled by Mercury, the Gemini Moon likes to be stimulated, and when bored, takes a mischievous turn. To avoid this, you need lots of communication and new ideas to keep you challenged and engaged. Ruled by the Moon, the Cancer Moon is very sensitive, emotional and instinctual. To feel good, these people need to be nurtured and reassured, as they tend to fear abandonment. Easily hurt, the Cancer Moon can easily close themselves up and shut out hurtful people. Ruled by the Sun, the Leo Moon is strong, confident and has a leader’s stamina. Just as the sun is the center of our solar system, Leo Moons like to be at the center of attention, too. Glamour, excitement and the rush of chasing and hunting is what Leo Moons thrive on. Ruled by Mercury, Virgo Moons are the most intellectual characters within the 12 moon signs. Their analytical, organized nature can make them highly critical – especially of themselves. However, they thrive when they feel like they’re helping and serving others. Ruled by Venus, Libra Moons place a lot of value on love and beauty. They avoid conflict, whenever possible, and strive to keep their environments peaceful and aesthetically pleasing. Ruled by Pluto, Scorpio Moons are intense individuals who prefer privacy. When they do open up, they desire honest communications. A bond formed with a Scorpio Moon is likely to be long-lasting. Ruled by Jupiter, the Sagittarius Moon is influenced by Jupiter’s wisdom and expansion. Therefore, adventure, knowledge and an interest in a variety of belief systems motivate these individuals. This explains why they enjoy traveling and interacting with open-minded people, like themselves. Ruled by Saturn, these moons tend to be realistic and no-nonsense individuals. It’s important for these people to decompress and recharge. And a tendency to be emotionally distant and melancholy is common for the Capricorn Moon. Ruled by Uranus, the Aquarius Moon is marked with a (sometimes rebellious) independent streak. But these secure individuals are also innovative and can be trailblazers who enjoy the collaborative process. Ruled by Neptune, the Pisces Moon is both deeply sensitive and empathetic. Art and spirituality are very important to these individuals. And a need for both creativity and quiet meditation helps these individuals shine. 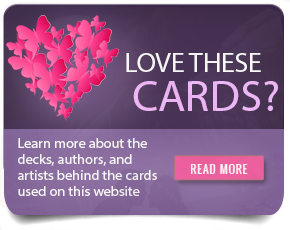 These brief explanations are by no means complete, but they offer insight into not only the moon sign but your inner workings and emotional energy. When you know your moon sign, you can develop a greater understanding of yourself, and also be more loving and compassionate toward yourself. So, what’s your moon sign? Do you think it helps you understand yourself better?